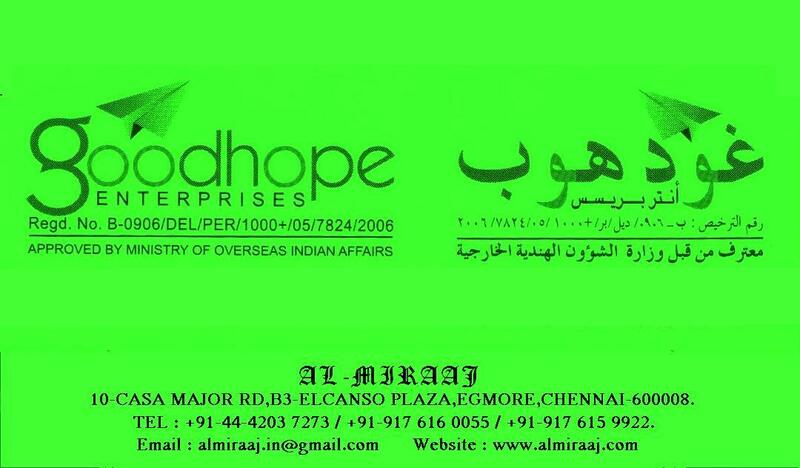 Saudi Visa Stamping-APOSTILLE / ATTESTATION !!! No medical Report required for Visit Visa cases. Photos – 4 nos. (6 x 4” – Background White). Original Polio Certificate with Attestation. Father’s valid Passport copy / Iqama Copy / Visa Copy. 4 Photos – 6 x 4” Background White. F) Employment Visa Stamping For Saudi Arabia. 6 photos 4x6 cm white background. Degree / Diploma Certificates related to Visa Category. Degree/ Diploma Certificates to be attested by HRD and Ministry of External Affairs, Cultural Attaché, Saudi Embassy, New Delhi. For Senior Categories like Engineers/ Accountant/ System Analyzer/Computer Programmer and all Medical Staff requires Saudi Embassy attestation. For getting Cultural Attaché’sattestation, Original offer letter duly attested by Chamber of Commerce and MOFA is mandatory.